The Moussile Mouse is a breed of mouse found during visits by Ronza. Cheese: See current Ronza location Charm: ?? Information on how to locate and capture the Moussile Mouse can be found on the current Ronza location page. Attraction: Collect Exploded Lightshow at the Dance Hall or Vacant Lot and Drained Rocket Pack in the Meadow. 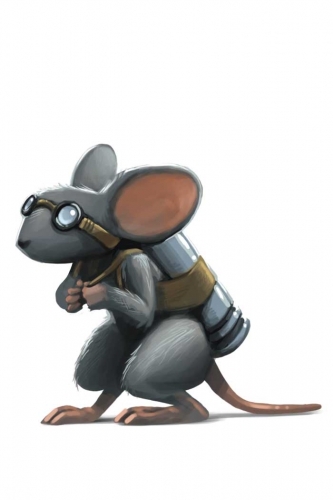 19 March 2014: The Moussile Mouse was released as part of MouseHunt's Sixth Birthday event. Hunters that obtained the Inert Riftwood had the option of purchasing the Rift Detector map piece early at the Vacant Lot Cartographer. 25 March 2014: The Moussile Mouse became the first Event Mouse to remain available in the Vacant Lot after an event ended. After MouseHunt's Sixth Birthday event ended, the Moussile Mouse dropped Inert Riftwood in the Vacant Lot but no longer dropped other loot. This page was last edited on 13 July 2016, at 14:46.